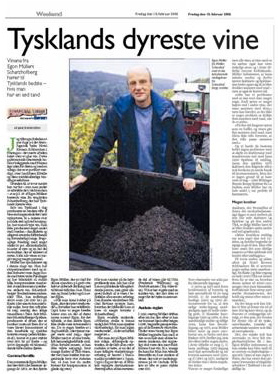 Ten years ago Egon Müller offered the very first allocation to Denmark of his exquisite wines, and following his visit and our tastings in May 2008 in Copenhagen we were invited to the 100 Years Anniversary Auction (Versteigerung) of Grosser Ring in Trier where the leading VDP growers of the Mosel - Saar - Ruwer auction their most precious wines annually - the exquisite wines of their best single cask from their best vineyards. Since 2008 we have participated in these annual auctions and secured some of the most outstanding wines from the best vintages, and in celebration of the 10 years of receiving an annual allocation for Denmark from Egon Müller and of the 10 years of buying at the annual Grosser Ring Versteigerung we offer a rare opportunity to taste 10 selected wines showing the differences between the excellence of these great wines from the normal bottling versions and the divine elixir of the Versteigerung bottlings sourced from the growers most exquisite cask of the vintage. The interest in these rare wines among international connoisseurs can be seen from the prices they are fetching - with the hammer price in 2015 of 12.000 Euros ex VAT per bottle of the Scharzhofberger TBA 2003 from Egon Müller as the world record for white wine. The tasting will take place at the Design Museum Denmark preceded by a guided tour to the special exhibition CRÈME DE LA CRÈME by the curator Anne Cathrine Wolsgaard Iversen. Tickets will give general access to the Design Museum Denmark before the guided tour commencing at 16:30. The Crème de la Crème Tasting of the Versteigerung wines commences at 17:00 in the Banquet Hall (Festsalen) of the Design Museum Denmark. 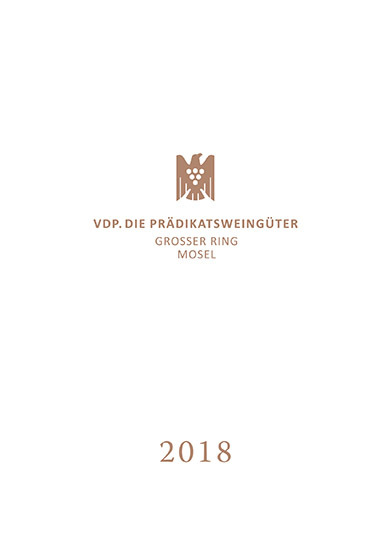 This year the annual Grosser Ring Versteigerung takes place in Trier on Friday the 21st September. Please contact us for information and guidance, if you wish to participate and/or to bid.